What Is a MOBI File (and How Do I Open One)? 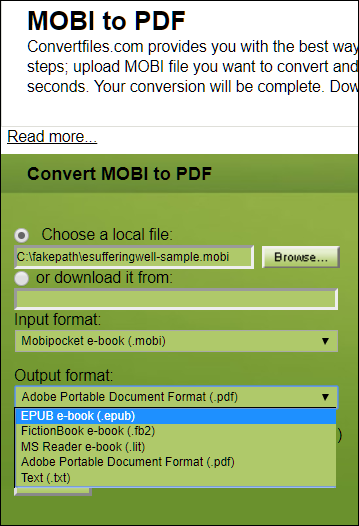 A file with the .MOBI file extension is used for storing eBooks. It was originally a Mobipocket Reader format but has since been adopted by several different readers as well. Amazon purchased Mobipocket in 2005, and later discontinued the MOBI format in 2011. 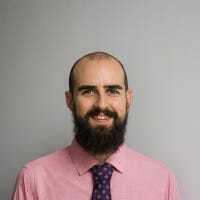 What Is a MOBI File? The current Kindle formats (AZW3, KF8, and KFX) are based on MOBI and is a proprietary format exclusively used on Kindle devices. And, in fact, you can still open files with the MOBI format directly on your Kindle—you just have to send them to your Kindle first. Because MOBI is an eBook format, most free desktop eReader programs support opening and viewing them—like Calibre, FBReader, Mobipocket Reader, or Mobi File Reader, to name just a few. After downloading and installing one of the free applications, opening any of your MOBI files is relatively easy. For Calibre, all you have to do is click on the “Add Books” button, and then choose one of the options shown in the image below. How Do I Convert One? Just like any other file formats, you need specialized software to handle converting MOBI into a different format. If you simply try to change the extension, you could wind up with a corrupt and unusable file. Along with being an eReader, Calibre comes with a handy conversion tool that can convert any of your eBooks into 16 different formats. If you don’t want to download a third-party application to convert your files, there are a couple of really good online converters that allow converting into some of the more popular formats, like ePUB, PDF, FB2, and LRF. This is probably one of the fastest ways, as you don’t have to download any software and wait for it to install. Some free online file conversion sites include: DocsPal, Convertio, ConvertFiles, and Zamzar. Just head to one of those websites, upload your file, and the format to which you want to convert it. From there, the software takes care of everything and will provide you with a link or send you an email with the converted file to download.